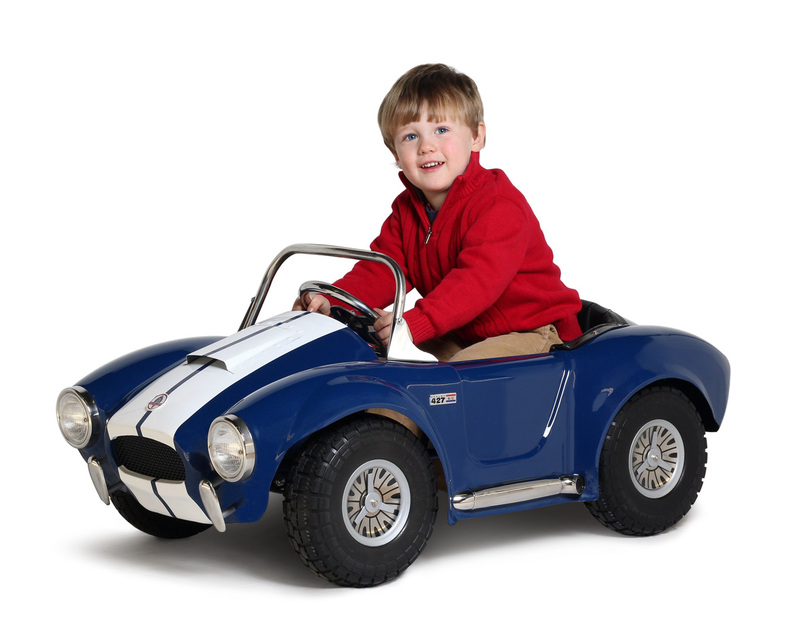 Most kids have to wait a long time to get their dream car, but with this officially-licensed Shelby Cobra pedal car, they don’t even need a license! 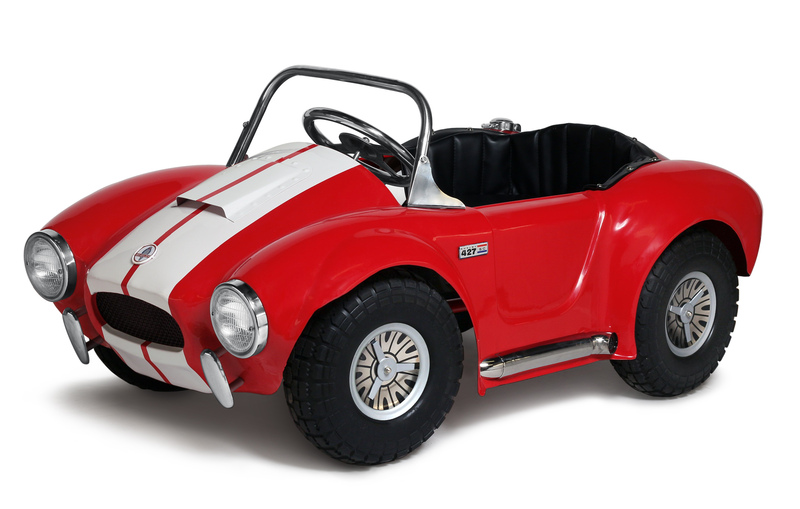 This all-steel pedal car has the styling cues of the full-sized original, including stainless-steel bumperettes, exhaust pipes, headlight and taillight trim, gas cap, windshield frame, and steering wheel. It also features a padded leatherette seat, semi-pneumatic tires for a smooth ride, a riveted hood scoop, and authentic Shelby badges. The car measures 43 1/2” L x 23 1/2” W x 18 3/4” H, perfect for drivers 3-4 years old (weight limit 100 lbs.). Morgan Cycle's all-metal construction car features adjustable non-slip pedals, sealed ball bearing drive, long lasting puncture-proof rubber tires, and safe powder coat paint. Adjustable pedals, recommended for ages 3-4 years old.